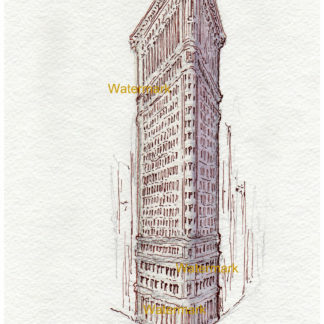 View cart “Flatiron Building Pen & Ink Watercolor #846A” has been added to your cart. 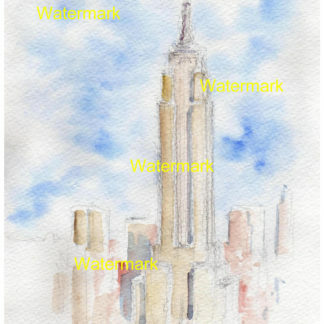 Manhattan landmark watercolors #012Y are cityscape monument paintings with JPEG & PDF scans and prints by artist Stephen F. Condren, BFA-SAIC, of Condren Galleries, a Fine Arts Gallery. Manhattan landmarks are big, because Manhattan is big. 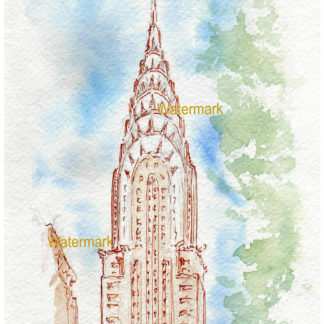 Pen & ink watercolors of Manhattan landmarks bring out all of the details of the image.